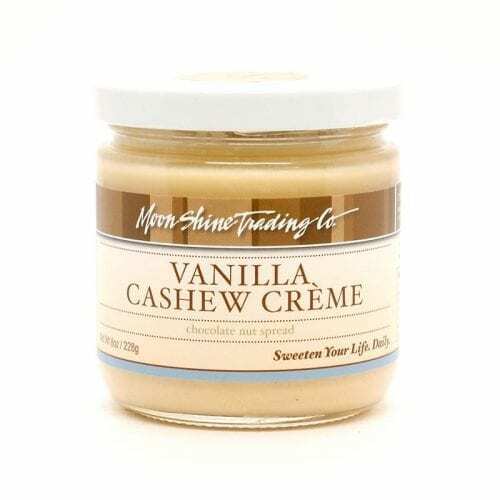 Nutty. Chocolatey. Fabulous. 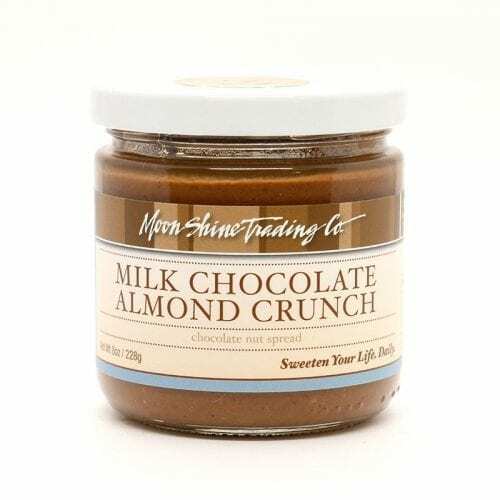 Moon Shine Trading Company Dark Chocolate Nut Crunch wonderfulness. 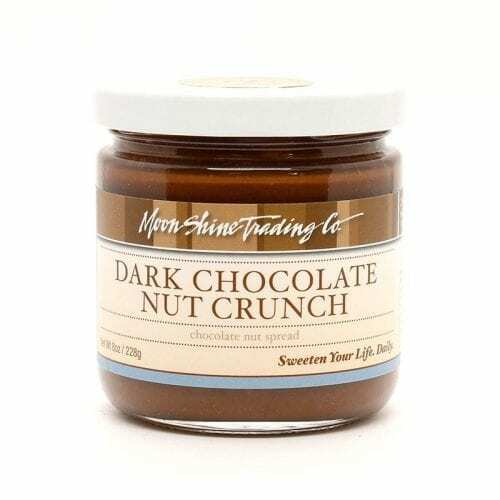 Enjoy this perfect blend of crunchy cashews, almonds and hazelnuts (our California Nut Crunch) with smooth dark chocolate crème. 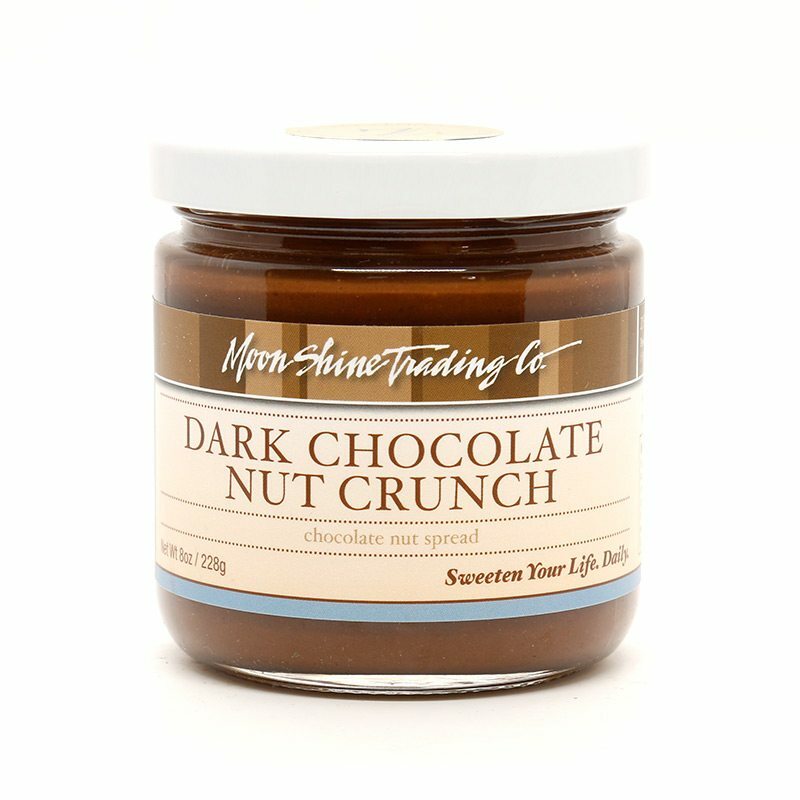 Our Moon Shine Trading Company Dark Chocolate Nut Crunch is ideal for dark chocolate lovers. 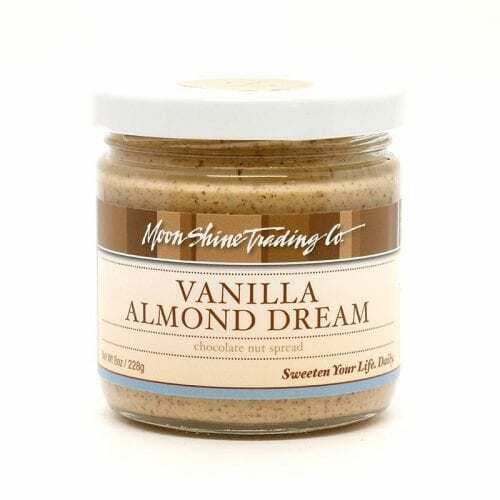 Available in individual 2.5 ounce tasting sizes, 8 ounce jars or one gallon containers for catering or large kitchen operations. Kosher.